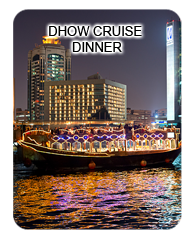 The first stop will be the Cultural Palace Square in Al Wahda Road. Next will be Ajman museum and then turning back and passing by beautiful Ajman and Sharjah corniches known for their white beaches you will be taken to the Palace of The Ruler of Sharjah. From there we will drive further to Souq Al Arsah on Corniche Road. This is presumed to be the oldest market place in United Arab Emirates and was once regarded as the heart of the city. Being here takes one to the ancient times. Here, in an air-conditioned alley with ancient traditional surroundings you will find numerous shops selling local handicrafts, ethnic jewelry, baskets, medicinal herbs and carpets. Read more..
A charming desert oasis that has been a stop on the caravan trail since time immemorial. Today, Al Ain has become a garden city and also boasts a university. The road from Dubai takes us through spectacular desert scenery. We stop at the archaeological digs at Hili which date back some 5,000 years. Before proceeding to the Al Ain Museum next to the old fortress, we stroll through the traditional souk of the town of Buraimi. 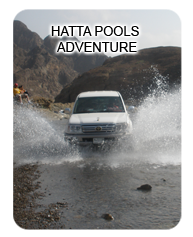 We then take a short walk through an oasis with its ancient falaj irrigation system. 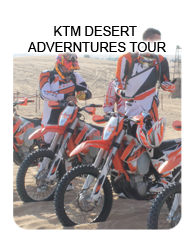 Read more..
EAST COAST TOUR is an escape from the hassle bustle of the city Life to enjoy the scenic beauty of nature – a journey through the lush-greens of lands in the valleys of the Hajjar Mountains which consist of contrasting colors. We pass through the neighboring Emirate of Sharjah and the Eastern Sights of the oasis AL Dhaid, weekend market of Masafi, mountains of Dibba, the fishing village of Fujairah and the oceanic city of Khorfakkan. The route offers an ample opportunity for photography en route. So remember to have your photographic equipment such as cameras and films etc.. Read more..
During this tour you will pass the largest man made port in the world, located at Jebel Ali free zone. Our first stop will be at Al Husa Fort, which was the original home of the rulers. This fort was originally built by a Sheikh of the Baniyas tribe to protect the fresh water well found there. Eventually the ruler’s palace was also built there. Thereafter we drive through Corniche while taking pictures en route. 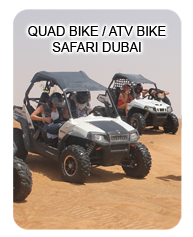 We will then reach Emirates Heritage club where we will have lunch. Read more..